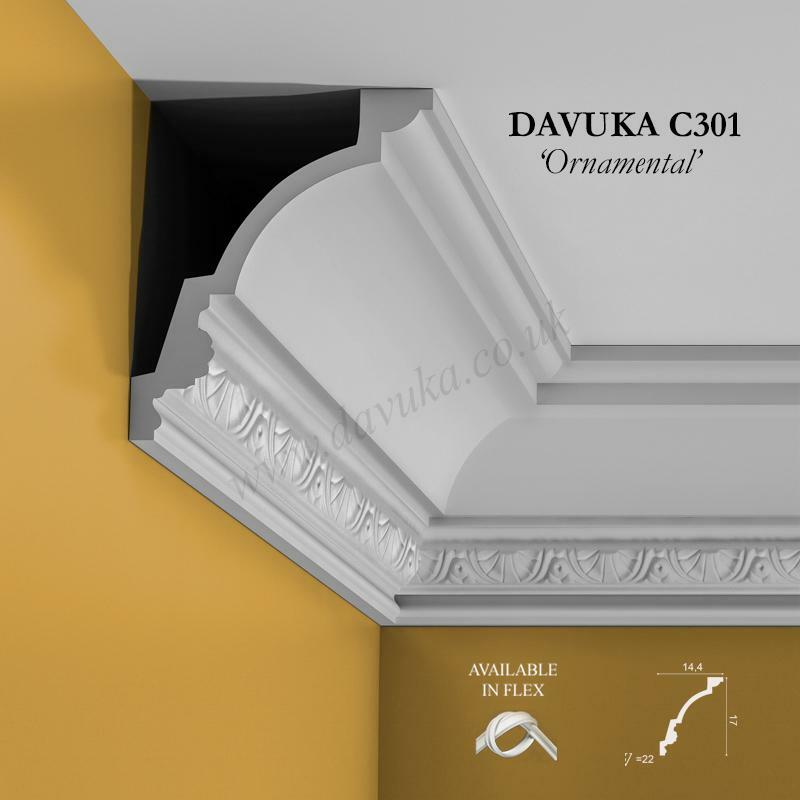 A traditional ornamented design that is ideal for larger rooms with a mix of Victorian and art deco styling. 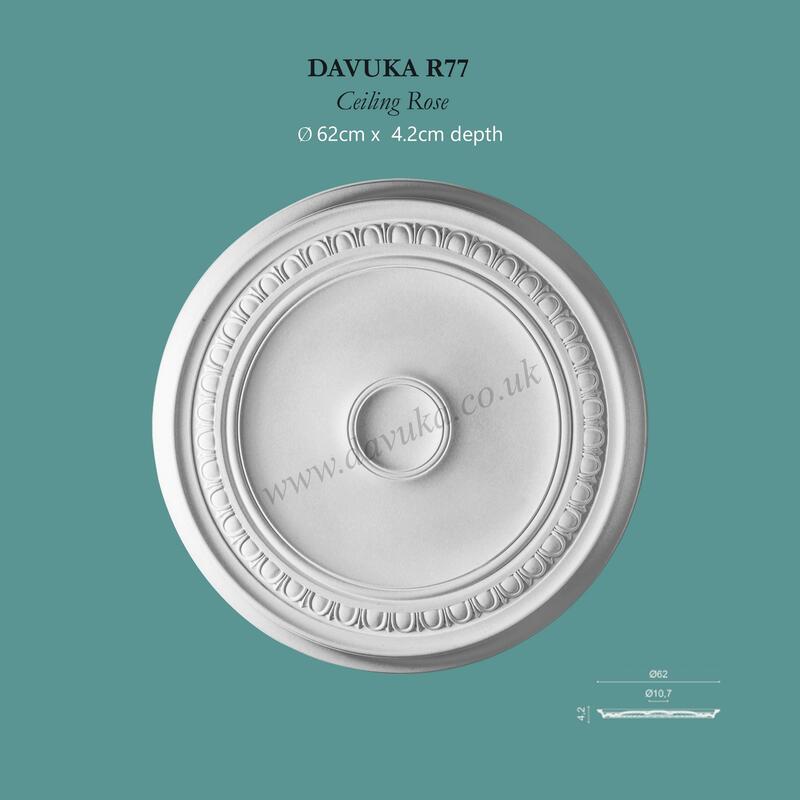 Match with R50 ceiling rose. 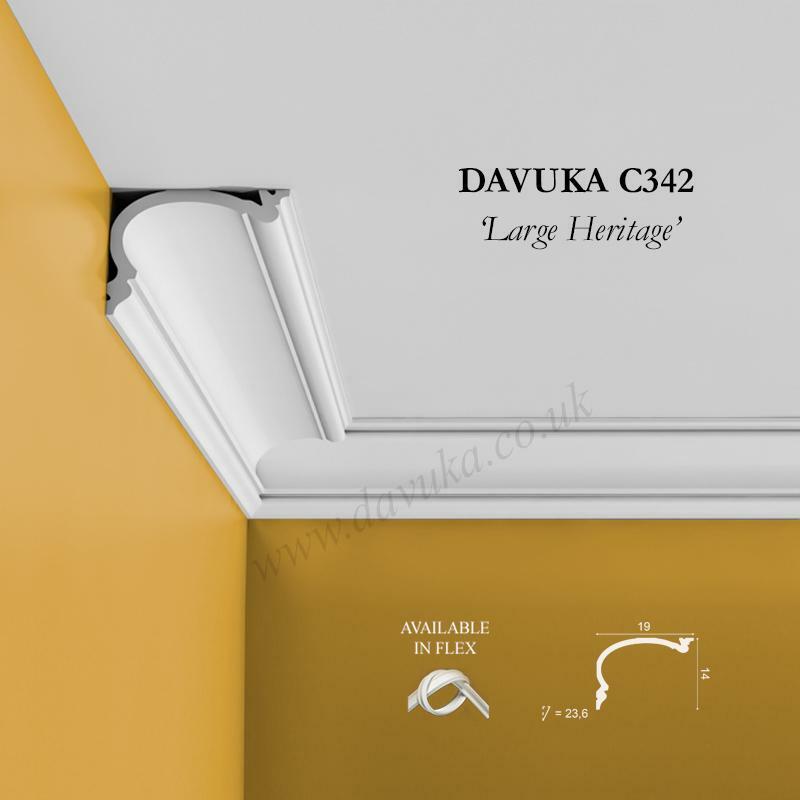 Also available as a flexible option (minimum wall radius 3.2m) for curved wall sections. 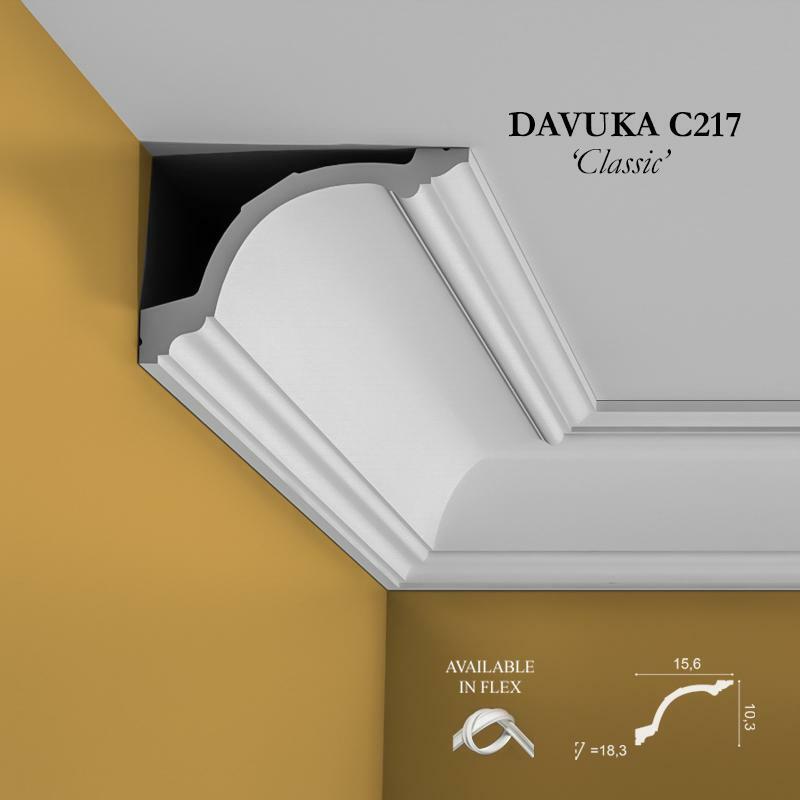 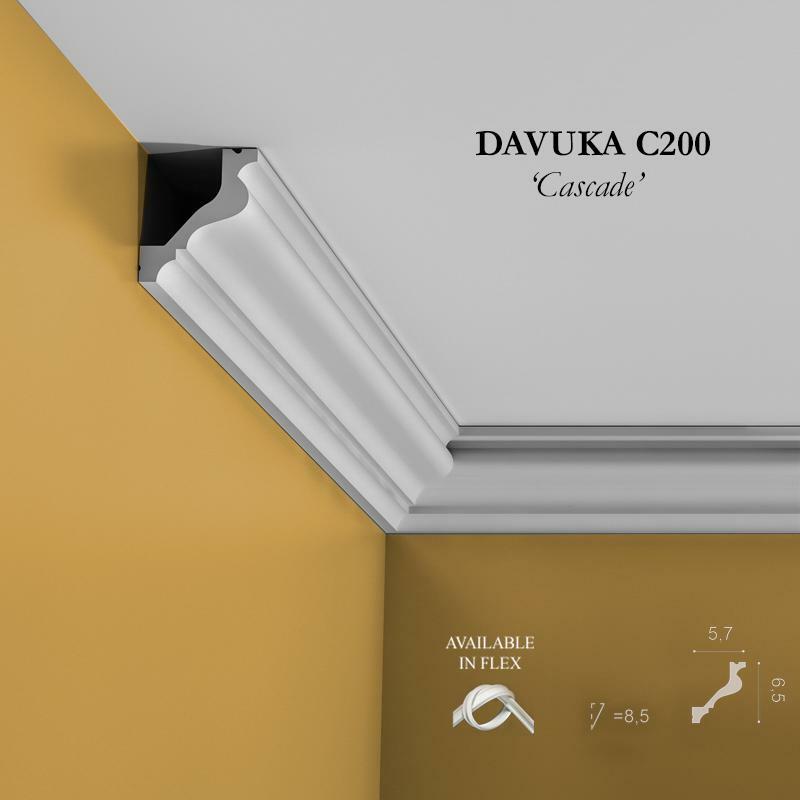 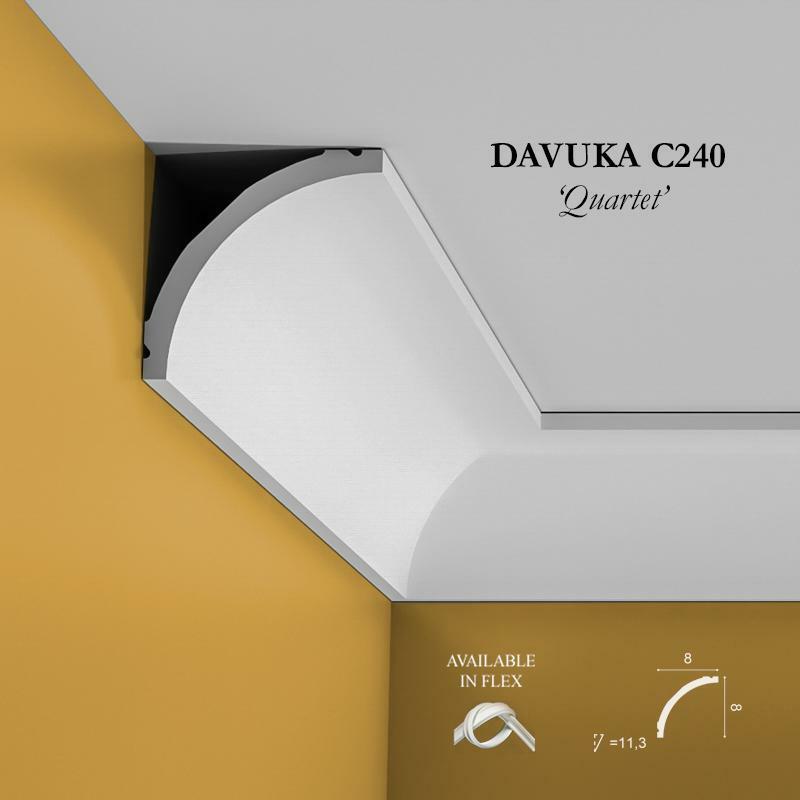 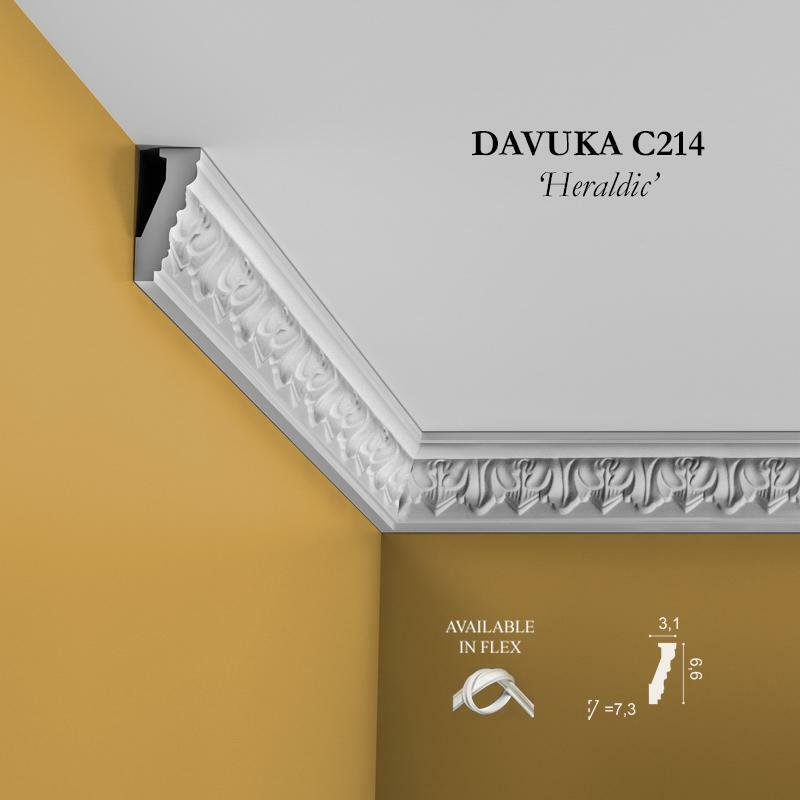 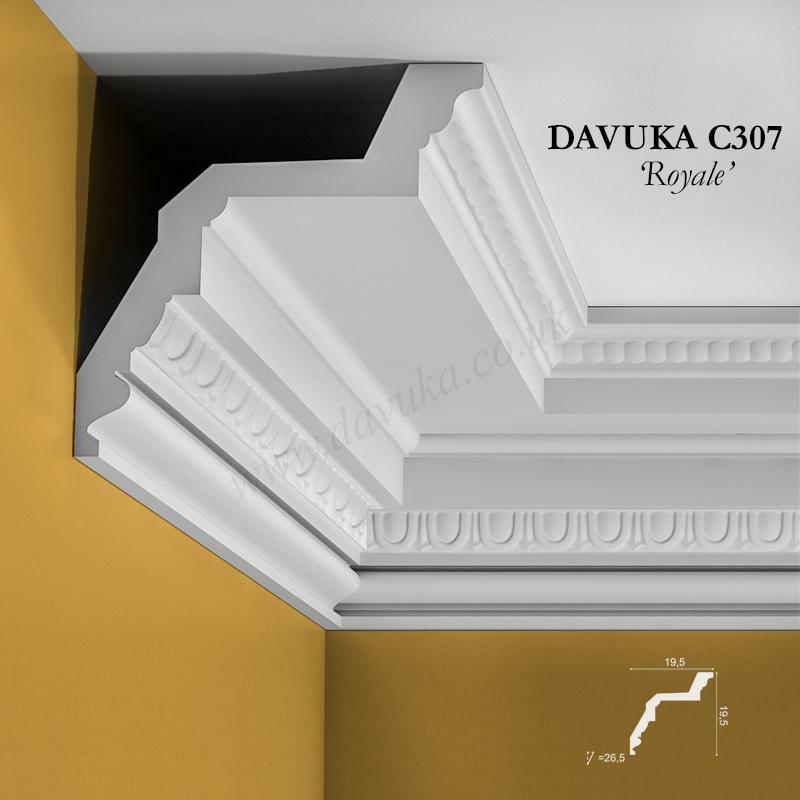 Using Correct Adhesives for the C301 ‘Ornamental’ cornice – IMPORTANT!